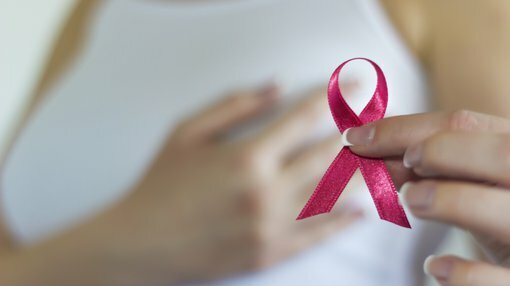 Clinical-stage oncology company Prescient Therapeutics Ltd (ASX:PTX) has today announced its most significant clinical milestone to date — the highly encouraging results of its PTX-200 Phase 1b Breast Cancer trial. 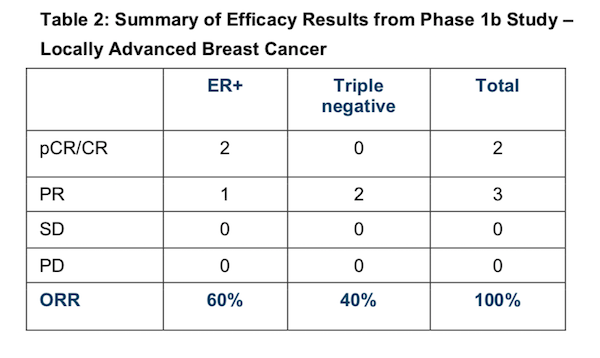 Patients evaluable for efficacy in the PTX-200 Phase 1b breast cancer trial showed an overall response rate of 50%, against the predicted industry average response rate of 25% with only chemotherapy drug paclitaxel. In the five patients with locally advanced disease, two (or 40%) had pathologic complete responses — meaning total eradication of cancer — and three patients had an Overall Response Rate (ORR) of 100%. Of course, it should be noted that PTX is still a speculative stock and anything can happen. Investors should seek professional financial advice if considering this stock for their portfolio. The Phase 1b trial was undertaken with the leadership of renowned breast cancer specialist Professor Joseph Sparano, MD, and the H. Lee Moffitt Cancer Center in Tampa (Moffitt) at the Montefiore Medical Center, Albert Einstein College of Medicine in New York. The Phase 1b dosed 28 patients in total, resulting in 10 patients who were evaluable for clinical response — of these, five had locally advanced disease and five had metastatic disease. PTX is currently in a Phase 2 trial for women with HER2 negative locally advanced breast cancer, with five of the patients of the Phase 1b study qualifying for assessment of Phase 2 data. The company’s Phase 2 trial will be in 26 patients using a “two-stage Simons MinMax Design”. This means that, provided at least three pCRs are observed in the first 11 patients of the Phase 2 trial, it will expand to include a further 15 patients. At this stage, PTX already have two pCRs within the first five patients, leaving it in a good position to eventually expand the Phase 2 trial. • Progressive Disease (PD): cancer has progressed. To put PTX’s results into perspective, for women with locally advanced ER+ HER2 negative breast cancer, typical expectations are pCR rates of 16% (11-22%) and ORR of 25%. 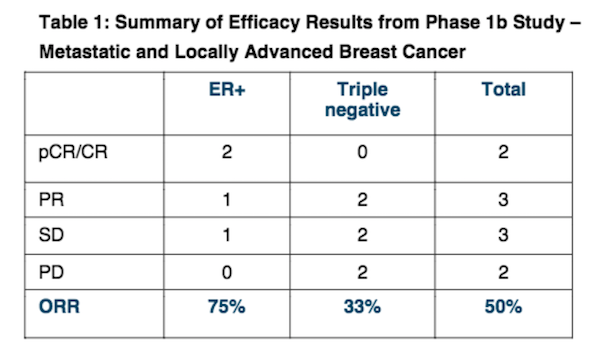 In PTX’s Phase 1b trial, the ORR was 50%, and in the five patients with locally advanced diseases, 40% had pCRs, and three had an ORR of 100%. PTX is at the forefront of cutting edge research that aims to better target drug therapies to improve outcomes for the patient — in terms of effectiveness in killing cancer cells, as well as reducing treatments’ toxic side-effects. It is currently in human clinical trials with two innovative drugs which ‘turn off the switch’ that would otherwise allow cancerous cells to grow via the important Akt and Ras pathways.